1.1 Products shown on this website will vary from time to time. 1.2 Products may be delivered by us in bud to ensure longer life. 1.4 All products are subject to availability. In the event of any supply difficulties, we reserve the right to substitute it with a Product of equivalent value, appearance and quality, without notice. 1.5 If we are unable to supply a Product or any substitute product to you at all, we shall notify you as soon as reasonably possible. If the products are for a specific event, we will endeavour to help find an alternative solution. 1.6 Photo's are taken of every order when they leave for delivery. 1.7 Wendy House Flowers has public indemnity insurance by Floriguard Insurance . 2.1 Prices are subject to change at any time. 2.2 Prices shown are dependant on exact requirements by the customer. Any specific changes or requirements may alter pricing. 3.1 We accept payment by BACS transfer, most major credit and debit cards, cash or Paypal. Once your order is processed you are consenting to be bound by our terms and conditions..
3.2 Orders will only be made once payment has cleared. If paying via our email payment link, please ensure immediate payment. Payment links expire after 5 days for security reasons. Please ensure that all order and delivery details are correct at time of ordering. We will not accept responsibility for any errors caused as a result of poor information provided by the customer..
4.1 We must receive orders no later than 11.00am for next day delivery. Same day deliveries are subject to availability. Orders received after 11.00am will be delivered the next available working day. Orders received on Sundays or Public Holidays will be delivered on the next working day. Where possible, we will always try to meet your delivery needs. 4.2 Incorrect personal details may lead to problems or delays in delivery, so before placing your order, please ensure that you have included the full address details, including accurate postcode of the intended recipient. Ensure we have a daytime telephone number and e-mail address so that we can notify you in the event that any delivery problems are encountered. 4.3 In case of delivery to certain locations where a third party is involved, such as hospitals, hotels and MOD Establishments, the signature of any person authorised to accept delivery on behalf of the organisation shall be accepted as proof of delivery to your chosen recipient. 4.4 It is possible to request a preferred delivery time but cannot be guaranteed. To assist us in meeting your preference, please ensure your order is placed at least two working days prior to the preferred delivery time. 4.5 If you have provided us with a mobile number, we can send you confirmation of your delivery by text with a picture of the bouquet you ordered. 4.6 We deliver flowers on Mothering Sunday but on a first come, first served basis. Early booking is essential to ensure your delivery is met. Where it is not possible to deliver your order on this day, we will deliver on the next working day..
4.7 Delivery required between 24th December and 2nd January, is reserved for special occasions and events only, and at the discretion of Wendy House Flowers. Please contact us by 21st December should you require this special service, to discuss your order. 4.8. Where delivery has not been possible due to no answer from the recipients address, a missed delivery card will be posted through their door with our contact details to re-arrange a more convenient delivery time. Due to the perishable nature of the product, we will always try to re-deliver within 24 hours of the initial attempt but cannot accept any responsibility of the product where the recipient cannot accept delivery within 2 days of the initial attempted delivery. We can leave with a neighbour but only on the advice of the customer at time of ordering. 4.9. An aftercare advice card is given with every order to help our customers get the best from their flowers. We accept no responsibility for the flowers once they have left our care. 5.1 General orders may be amended or cancelled up to 24 hours before the intended delivery date. Cancellations made up to this time will be offered a full refund for any payments made. Cancellations made on the day of delivery, will be offered a 50% refund to cover any losses as a result of the order. 5.3 All refunds are at the discretion of Wendy House Flowers and only on return of the product in question, within 24 hours of receiving them. No refund shall be given where any product has been damaged as a result of customer neglect, misuse or poor aftercare. 5.5. We reserve the right to request or retain money from the customer to cover any outlay/expenses we may have already incurred as a result of an order or event booking. 6. Wendy House Flowers Contact Details. 6.2 Because of the perishable nature of our products and in order to assist us in resolving any complaints quickly and to our mutual satisfaction, we advise you to make any complaint within 24 hours of the item being delivered or purchased. 6.3 Please ensure that any complaints are also sent in writing with full details (including photos) of the issues. 7.1 Whilst we agree to use our reasonable endeavours to ensure that the Site and/or Service is fully operational and error free we cannot guarantee this and, therefore, accept no responsibility for any defects and/or interruption of the Site and/or Service which lies outside of our control, and shall be released from our obligations under these Terms and Conditions in the event of such circumstances which renders the provision of the Site and/or Service impossible. 7.2 We do not accept liability for any claims, losses, demands and damages, including without limitation, any costs, loss of profits, loss of contracts or business opportunity, loss of data and any other consequential, incidental, special or punitive damages, even if we have been advised of the possibility of such damages, arising directly or indirectly out of or in any way connected with your use or inability to access the Site and/or Service, whether arising in contract, tort (including negligence), under statute or otherwise PROVIDED THAT nothing contained in these Terms and Conditions affects or will affect your or the recipient's statutory rights in relation to the quality, fitness or description of the products supplied. 7.3 Subject to the clause 1.5 above, we shall not be liable for any delay or inability to perform our obligations to you, if such delay is due to any cause whatsoever beyond our reasonable control. 8.1 We reserve the right to supplement and amend the Terms and Conditions on which you are permitted access to the Site and/or the Service from time to time. We will post any changes on the Site and it is your responsibility as a customer to review the Terms and Conditions on each occasion you access the Site or Service. Changes will be effective twenty four (24) hours after the posting of any such change and all subsequent dealings between you and us shall be on the new Terms and Conditions. 8.2 Additionally, we reserve the right to suspend, restrict or terminate access to the Site and/or Service for any reason at any time. 8.3 These Terms and Conditions shall be deemed to include all other notices, policies, disclaimers and other terms contained in the Site, provided that in the event of conflict between any such other notices, policies, disclaimers and other terms, these Terms and Conditions shall prevail. If any of these Terms and Conditions is held to be invalid or unenforceable, the remaining provisions shall remain in full force and effect. 8.4 We shall ensure that we comply with the requirement of all current data protection legislation including, without limitation, the Data Protection Act 1998 (as replaced, modified or re-enacted from time to time). We shall only use personal data received from you for the purpose of fulfilling our obligations under these Terms and Conditions. We fully comply with the rules of GDPR and confirm that no personal data supplied is sold or given to any third party. 8.6 Save in respect of fraudulent misrepresentation, this agreement (including any documents and instruments referred to herein) supersedes all prior representations, arrangements, understandings and agreements between you and us (whether written or oral) and sets forth the entire agreement and understanding between you and us relating to the subject matter hereof. 9.1 All Wedding bookings require written confirmation with a signed copy of the wedding order form agreement. Confirmed bookings also require a non-refundable booking fee of £50.00 if total cost is under £500 or 10% of the total cost if more than £500, which is then deducted from the final balance. Once the signed order form has been received and the booking fee paid, only then will the booking be confirmed. Payments can be by cash, debit card, BACS. 9.2 By paying the booking fee you are agreeing to our full terms and conditions and entering into a legally binding contract with us. 9.3 Any changes to the initial order must be notified to us in writing at the earliest convenience, but no later than 4 weeks prior to the date of the event. We will always try to accommodate and assist wherever we can to ensure the needs of the customer are met, however, we will not accept any responsibility where insufficient time has been given and circumstances are out of our control or where no written notice of changes have been given to us. 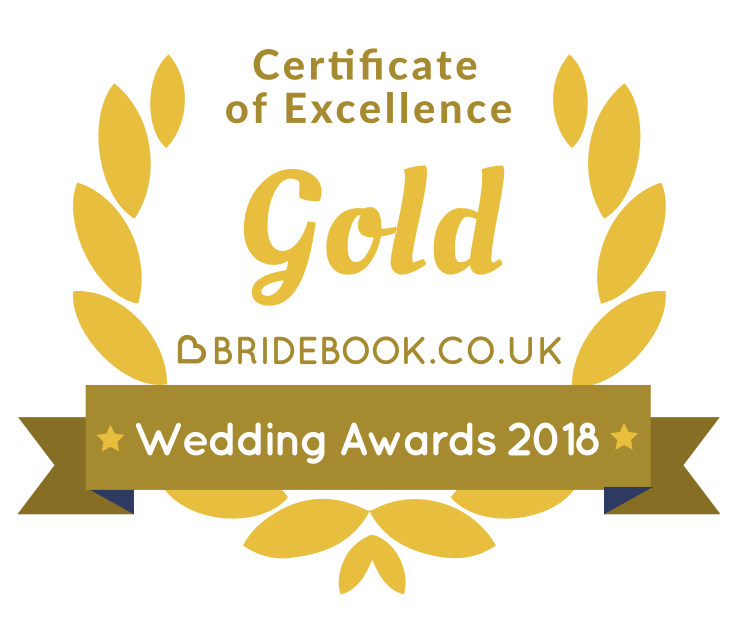 .All changes to the wedding/event will be re-quoted where necessary and any outstanding payment is then due immediately, payable by either cash.or card. 9.4 The remaining balance is payable upon invoice which is sent 4-5 weeks before the wedding/event date and must be paid within 7 days from the date of the invoice. Payments must be cleared no later then 3 weeks before the wedding/event date. Part payments towards the cost of flowers are accepted, providing the total amount is settled no later than 3 weeks before the wedding. Details are available on request. Non payments will result in breach of contract and we reserve the right to withhold all goods and services. 9.5 All wedding bookings are subject to a minimum spend. This is the total cost you sign off on the original order form. If you need to reduce the number of items on your order form, (e.g. table arrangements), we will spread the cost across one or all of the of the arrangements, whichever you decide. 9.6 Cancellations ....You are entitled to a cooling off period of 14 days from the date you book your wedding. If you change your mind and wish to cancel the booking within that time, a full refund of any payments made during that time will be given. Cancellations must be sent in writing by post or email. 9.7 Cancellation fees are imposed to cover any expenses or loss of earnings we incur as a result of your cancellation. By taking your booking we may have turned away other couples and are therefore unable to re-fill the date with another booking. Weddings and events require a minimum cancellation notice period of 6 months prior to the event, in writing. Any payments made up to that time will be refunded, minus the booking fee and any expenses incurred. Cancellations made after this time are subject to a late cancellation fee of 10% of the total cost of the booking plus any expenses incurred as a result of your booking. Cancellation fees will be invoiced and must be paid by the due date on the invoice. All refunds are at the total discretion of Wendy House Flowers. 9.8 All flowers and products remain the property of Wendy House Flowers until full payment has been made and will not be released until funds have cleared our end. No flowers shall be ordered or supplied until full payment has been cleared. We reserve the right to cancel any order and not supply flowers and/or hired items, where the customer has not paid within the allotted time. 9.9 All Hired items remain the property of Wendy House Flowers and any broken, damaged or missing items will be billed for at our current retail prices. This can be provided upon request, You must sign and return the hire agreement to us no later than 1 month prior to your wedding or event. By signing the agreement you are bound by the terms within it. No items shall be released for hire without a customer signed hire agreement. 9.9 Initial consultation appointments are free. A catch up call/meeting will also be scheduled around 5 weeks before the wedding, prior to sending out the final invoice. Any further meeting requests will be subject to a fee of £10 per hour. Any consultations which require us to travel such as venue site visits, shall be charged at a rate of 50p per mile. 10.1 Wendy House Flowers requires certain personal information in order to provide its services. Details such as names, addresses, phone numbers, emails and dates are required to enable us to deliver products and services as required by the customer. Any personal information given and stored by Wendy House Flowers is for our sole use only and Under no circumstances are your personal details given, sold or used by any other 3rd party, for any reason. 10.2 Personal information is stored in the form of paper order forms and invoices, on our computer systems and on our POS sytems. Details are filed and stored securely and retained for HMRC purposes. 10.3 We do not retain any banking or credit/debit card details given by a customer unless they instruct us to do so for services such as repeat orders and subscriptions. Details are securely stored via our POS system and only for the sole purpose of purchasing our goods and services. 10.4 Any correspondence between Wendy House Flowers and its customers, by phone, email or social media, is made with the full consent given by the customer. Subscriptions or newsletters are by opt-in procedure and we will not contact any customers who have not requested us to do so or have not opted-in to any of our mailing lists. You may cancel your subscriptions at any time by clicking on the unsubscribe links within the mailings or by emailing us direct.